I have been doing CrossFit since 2013 and immediately fell in love with it. It was both challenging and fun. In 2015, I decided to take it to the next level and take a coaches seminar. What began as a way of learning more about the health and fitness program that I loved turned into a passion for teaching and helping others to find their way as well. I love spending time with my wonderful husband/partner/best friend and our wonderful children and grandchildren. We share many of the same passions and interests, so it should not surprise anyone to see the whole crew training together as well as supporting and cheering one another on. Health and Fitness has not always been up there on my priority list. 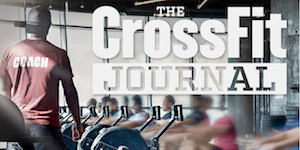 I walked into my first CrossFit Affiliate in 2013 as way of managing the stress of life’s challenges. Wow! Did I get what I was looking for. The lifestyle changes that snowballed from that one day have dramatically changed my life and my family’s for the better. The most powerful lifestyle change for me was that CrossFit helped this 1-½ pack a day cigarette smoker of 25+ years kick the nasty habit (cold turkey) after just 2 weeks of joining. This was one of the most unexpected side-effects, to me. After more than 4 years, it still amazes me how easily the habit was kicked with such a simple change in my life. I have regained my life, energy, and health. As cliche as it sounds, I feel younger and stronger now at 40+ than I ever felt in my 20’s. My engineering background plays a major part in what drives me to constantly look for how can I make improvements. Turning that drive onto myself has only fueled my passion for healthy lifestyle changes. I pursued my CrossFit Level 1 Certificate and began coaching athletes at my local affiliate. My thirst for knowledge keeps me constantly on my toes and attending additional seminars and classes to add to my “Coaches Toolbox”. My latest achievement of earning my CrossFit Level 2 Trainer Certificate is the latest stepping stone in my pursuit of excellence in my craft. CrossFit has been an amazingly positive force in my life. The community that me and my family has found-from my gym, the surrounding gyms from my home, the gyms that I have visited with my family, to the one internationally spread online, this group of folks is second to none. I am forever grateful for being introduced to CrossFit and would love to introduce it to everyone that I meet. Box Jumps and Running are definitely tied! August CrossFit Blog at WordPress.com.